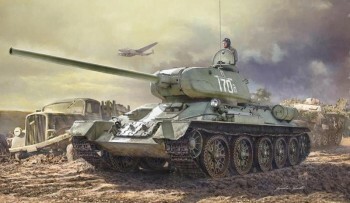 The T-34 tank is certainly one of the most famous armoured vehicles of the Second World War and it was the mainstay of the Soviet Army during the conflict. The most important innovations introduced by the T-34 design were the frontal sloped armour, able to guarantee a better protection against the direct hits, and the adoption of wide tracks able to provide a good mobility on all types of terrain including mud and snow. The first version of T-34, armed with a 76 mm. short barrel gun, obtained immediately an advantage against the most common German tanks of the era as the Panzer III and the Panzer IV. 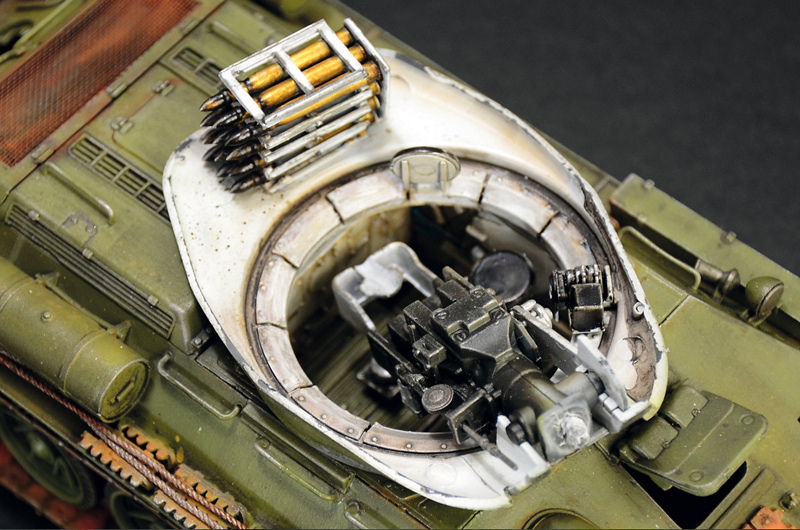 In 1943 the T-34 was further improved with the adoption of a completely new turret, bigger and with a better armour, capable of housing the powerful 85 mm long barrel gun. Thanks to the new T-34/85 the Soviet Armoured Forces could effective face even the most modern and advanced German Tanks as the Tiger and the Panther.